Just like nurses and educators, certified pesticide applicators have to engage in ongoing professional development. Every few years, they must prove they’ve engaged in continuing education to qualify for pest control license renewal. Pest Control Courses is a superior source of online re-certification courses for the busy pest control professional. The online classes available through Pest Control Courses have earned state approval in Texas. We cover a breadth of information in the field of pest control. 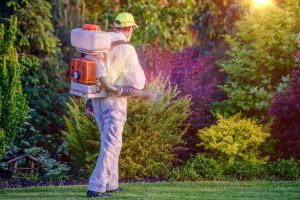 But because regulations can vary among states and even applicator types, Pest Control Courses offers three courses for specific applicators. In the state of Texas, private applicators must obtain at least 15 CEUs in order to qualify for pest control license renewal. Of the 15 courses, at least 2 credits must include laws and regulations, and another 2 credits must cover integrated pest management. Agricultural commercial and noncommercial applicators have to earn 5 CEUs before renewing their pesticide applicator license. At least 1 credit each must come from at least two of the following categories – integrated pest management, laws and regulations, and/or drift minimization. Pest Control Courses® offers an online 8-hour/CEU course for the structural technician that wishes to renew his license to apply pesticides. Please note that Structural certified pesticide applicators must attend live continuing education classes and will receive no credit for completing one of our online courses. With available courses in pesticide safety, federal and state laws, and emergency procedures, CEUs through Pest Control Courses cover all the necessary content for pest control license renewal. However, it is the applicator’s responsibility to show proof of completion. That’s why for the majority of our courses, you’ll receive an instant certification of completion. Print out the certificate and keep in a safe place until it’s time to submit. Don’t delay. Get started working towards your pest control license renewal today with the convenient and affordable CEU options available online through Pest Control Courses®.